Following on from my post yesterday about senior leadership almost being on board with digital transformation, it is important to see how the impact from internal change agents has increased this year. It’s quite a counter balance! 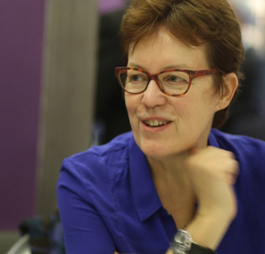 The more your organization matures digitally, the more you need change agents. Why? Because people are getting uncomfortable with change, and you need the activists and rebels to help maintain momentum. 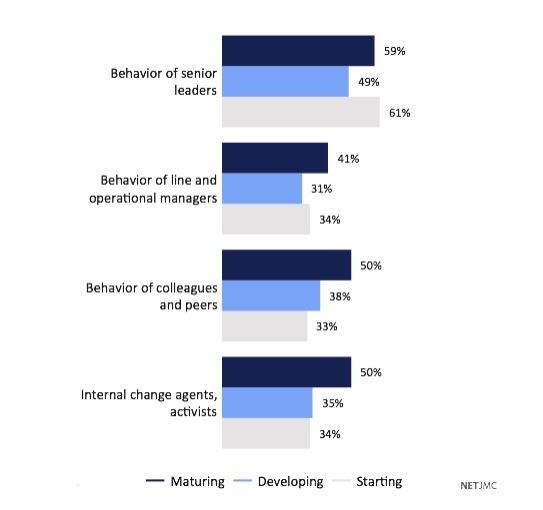 The chart shows that behavior of senior leaders is much more important for organizations at the Starting stage (61%) than is the impact of internal change agents (34%). As organizations mature, we reach a balance of roughly 50-50, which seems healthy to me. The combination of senior leader behavior and the energy of activists seems like a good balance. 12 Years of Research On Organizations in the Digital Age Open Letter to Students Customized Report BYOD and High-Performing Companies Where did search go?